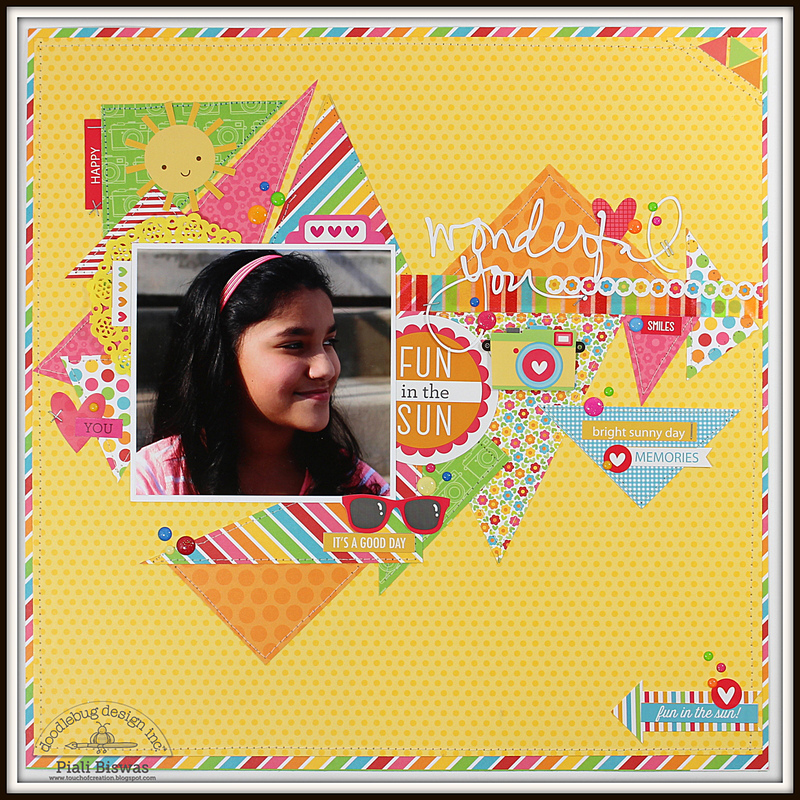 Piali here sharing a layout using the new SUNKISSED collection. 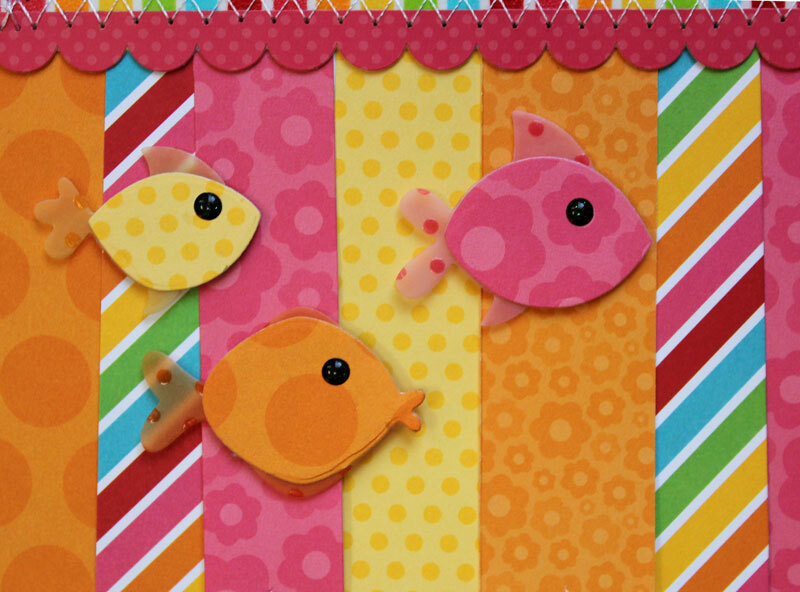 Love this collection...very colorful & happy one!! 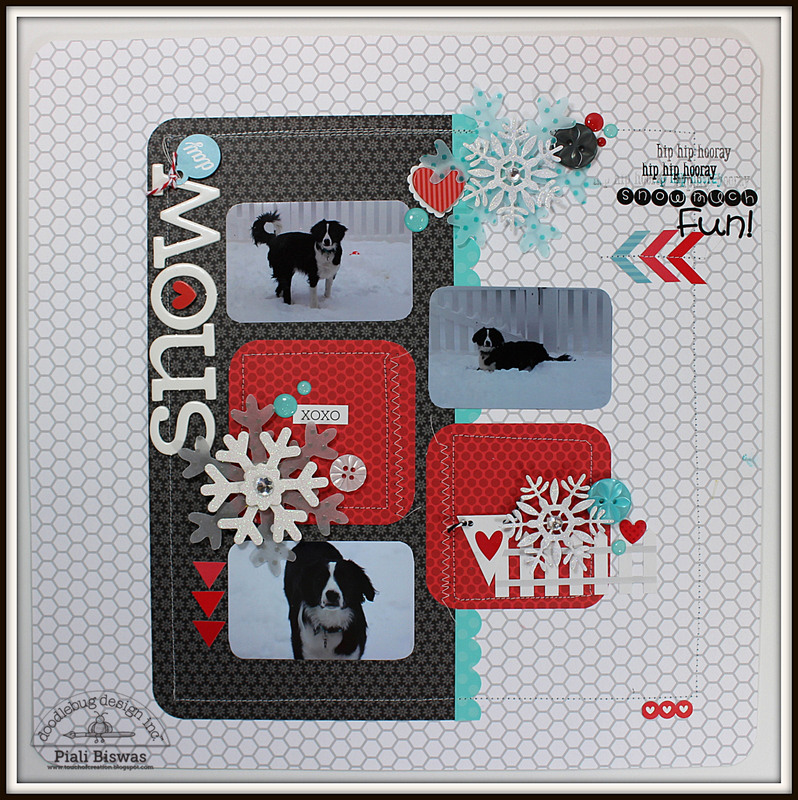 I really wanted to use all the beautiful patterns of this collection for my layout so free hand cut some triangles and randomly placed it to create my background. Added some machine stitching for texture. 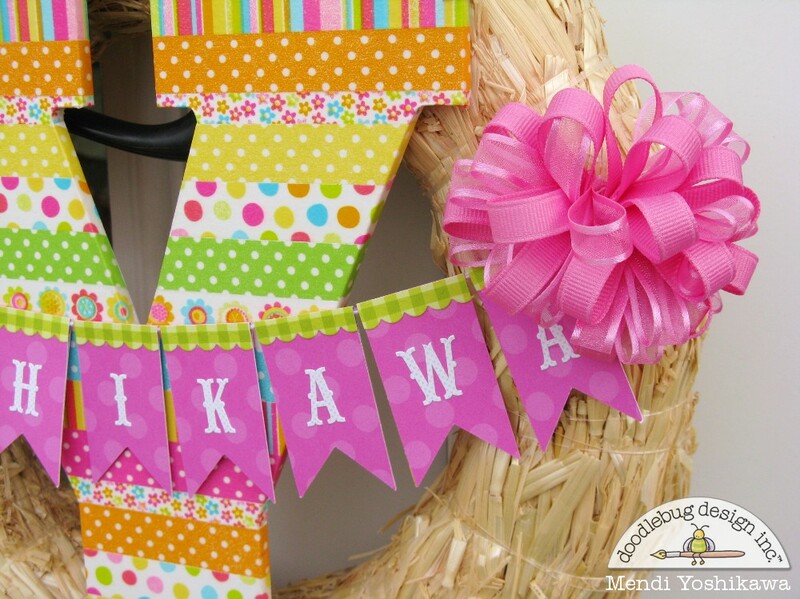 I also used Fancy Frills ,Washi tape and stickers from the collection. 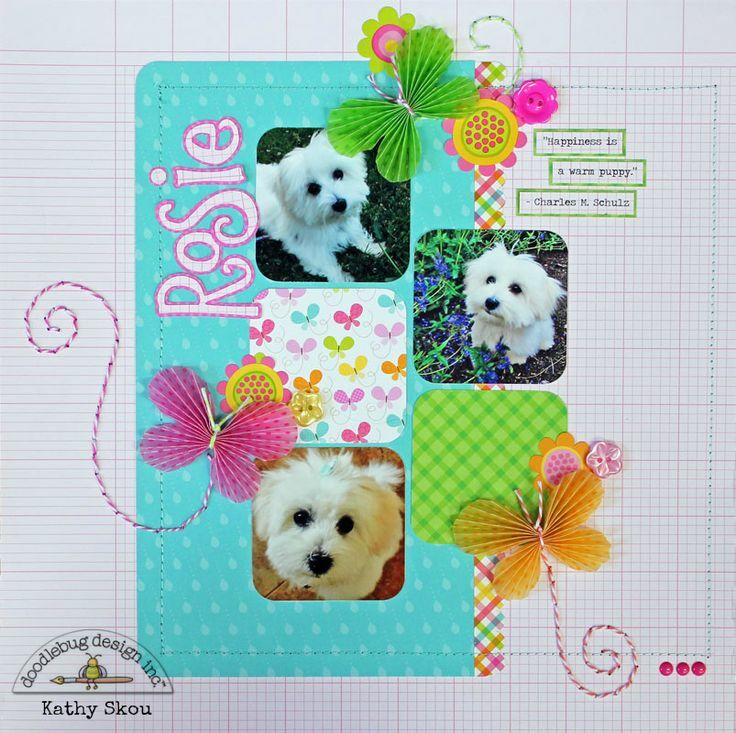 Love the new Doodlebug Mini Doilies, I used the yellow one this layout. 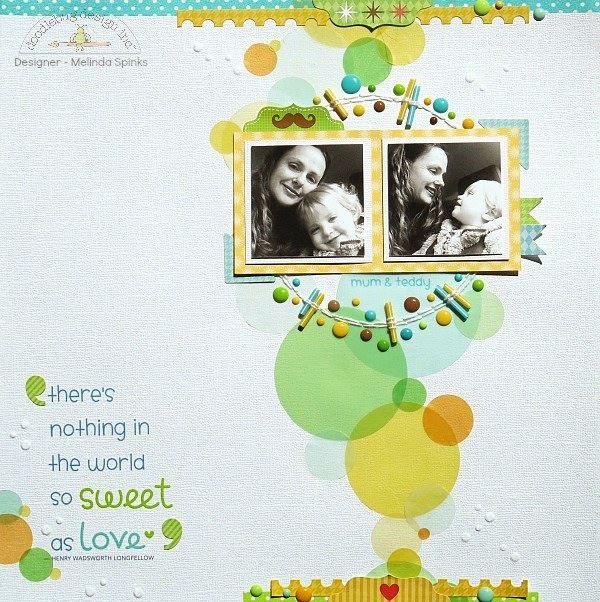 Doodlebug Sprinkles are my most favorite embellishments, love the bit of glitter in them! 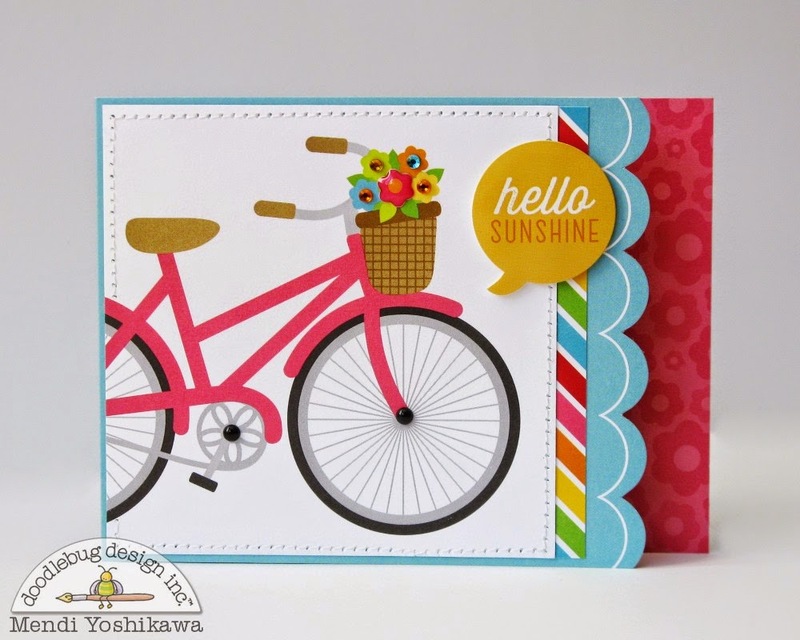 Hi Doodlebug friends! 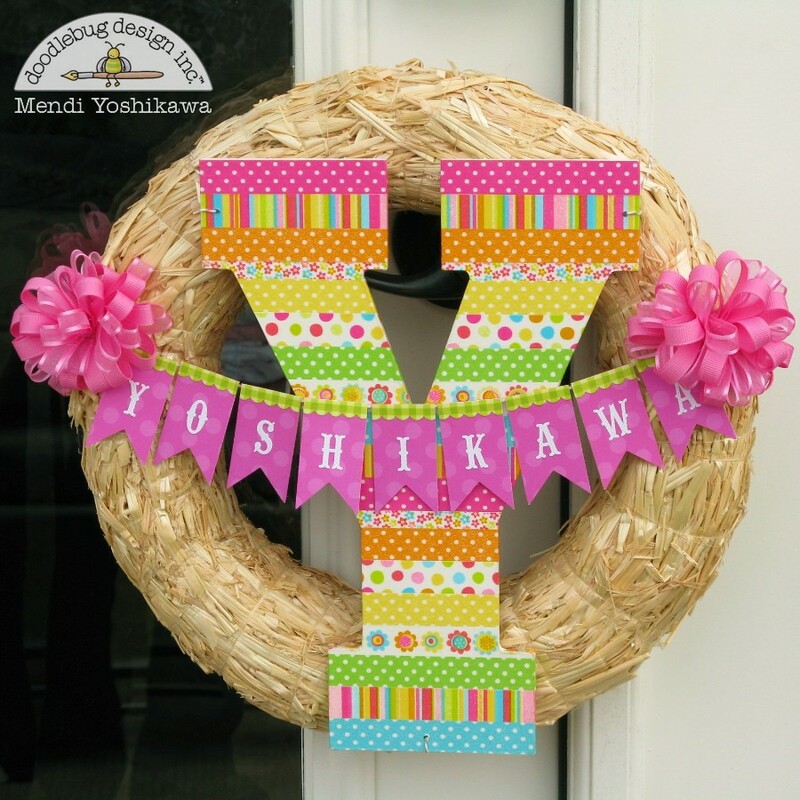 It's me, Wendy Sue, and it's finally my turn to share an "inspired by" project!! 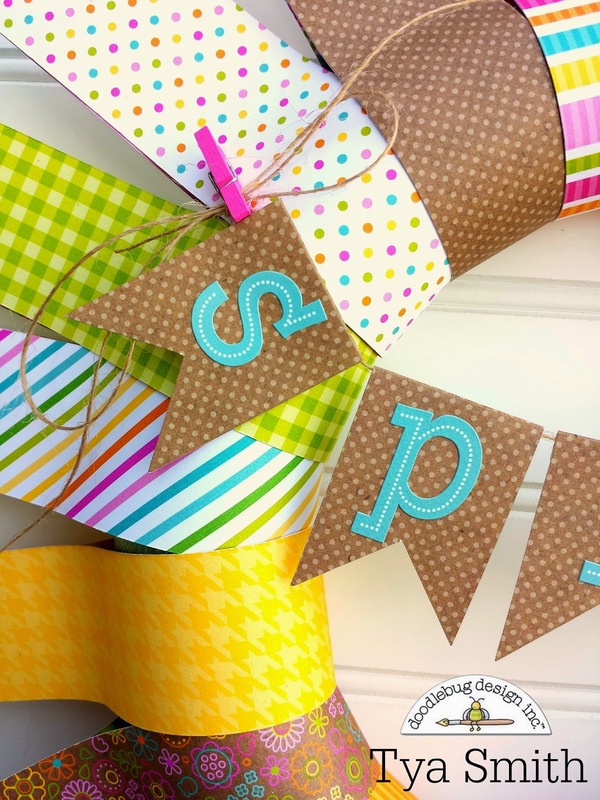 I had a hard time choosing one fabulous project to use for inspiration...so I decided not to! 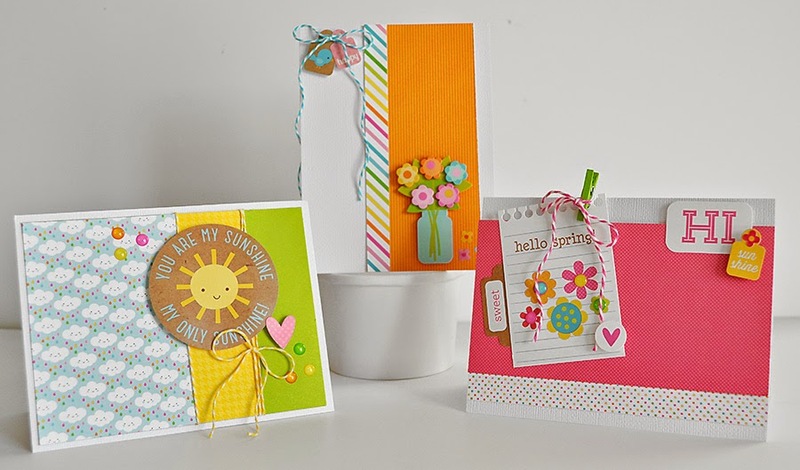 Instead, I decided to use THREE projects to inspire my Spring card trio! 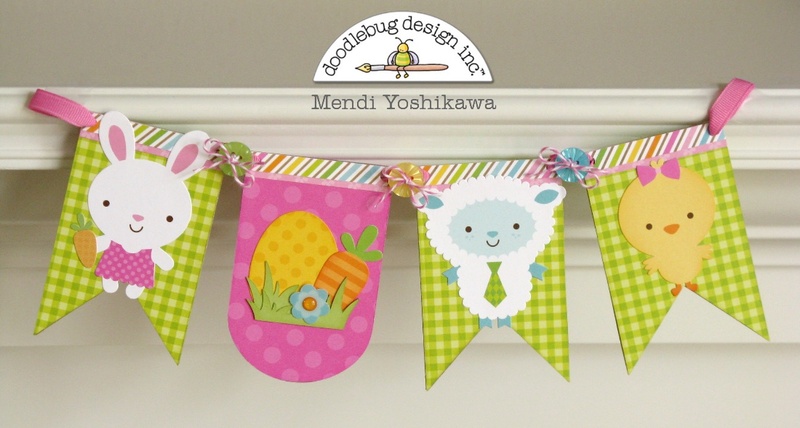 I adored Mendi's use of all of the awesome pattern papers that come in each of the lines. 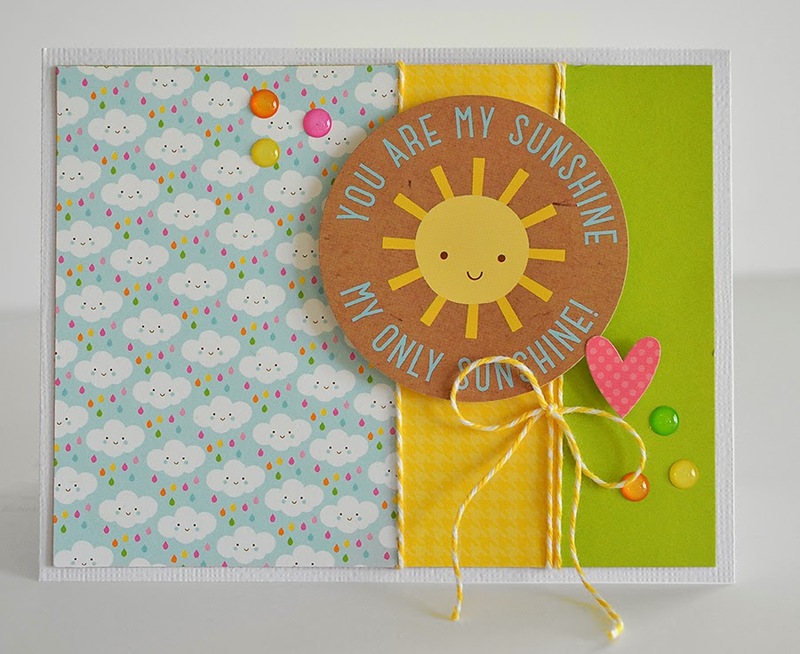 I used the fronts and backs of several of the pattern papers,from the Hello Sunshine line just as Mendi did. 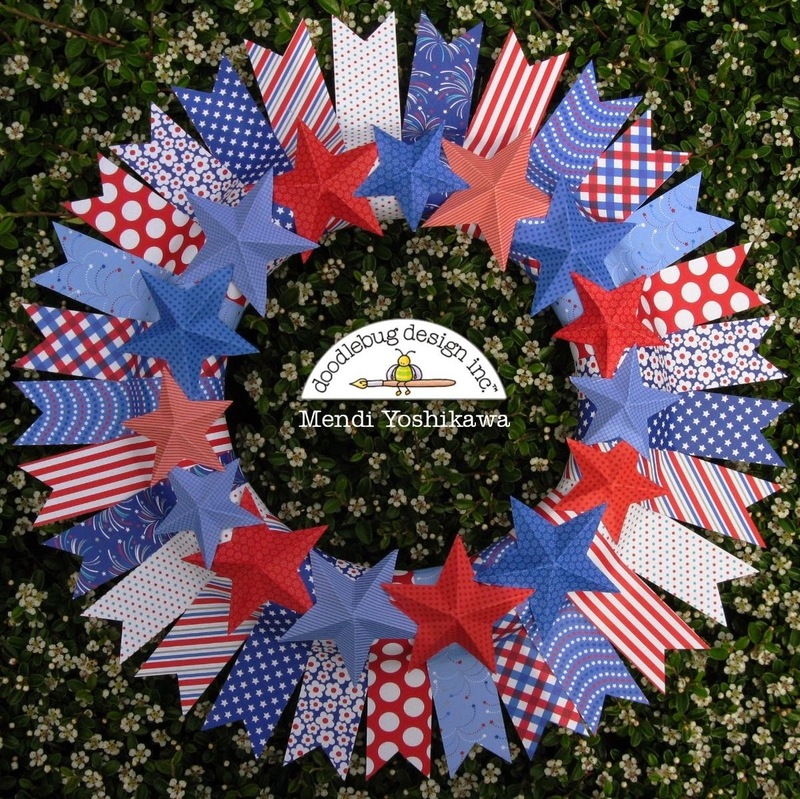 Instead of the stars, I added some flowers from the Spring Flower Craft Kit. 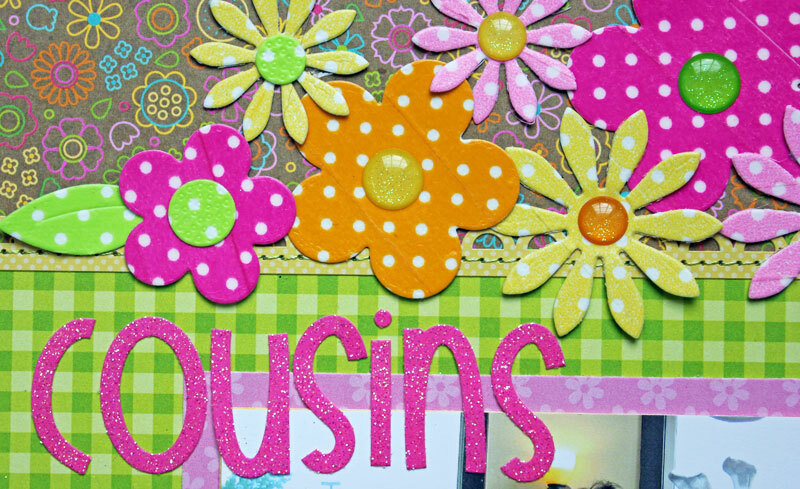 I also added some buttons and glitter sprinkles to the centers of the flowers. 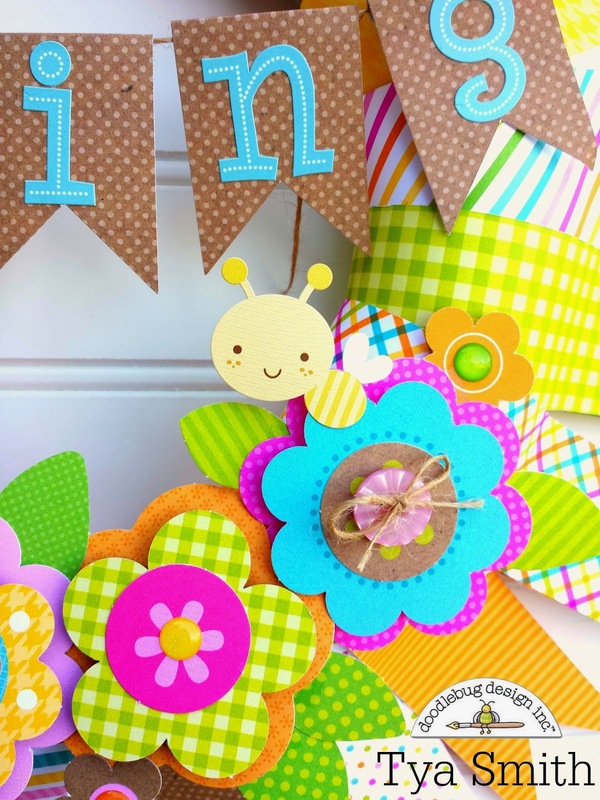 The darling little bee and butterfly are from the Icon Sticker sheet. 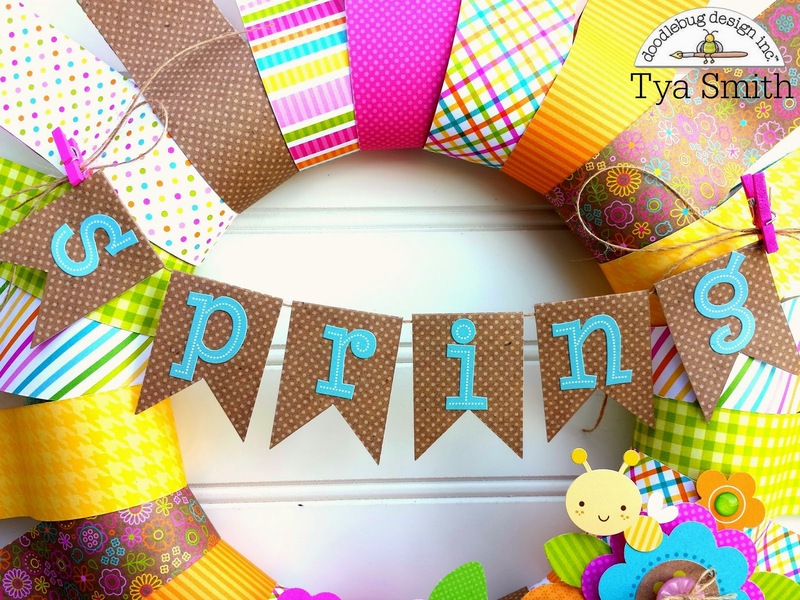 I also did a banner that I cut out from my Silhouette with the letters that spell Spring from the Hello Sunshine Icon Sticker Sheet. 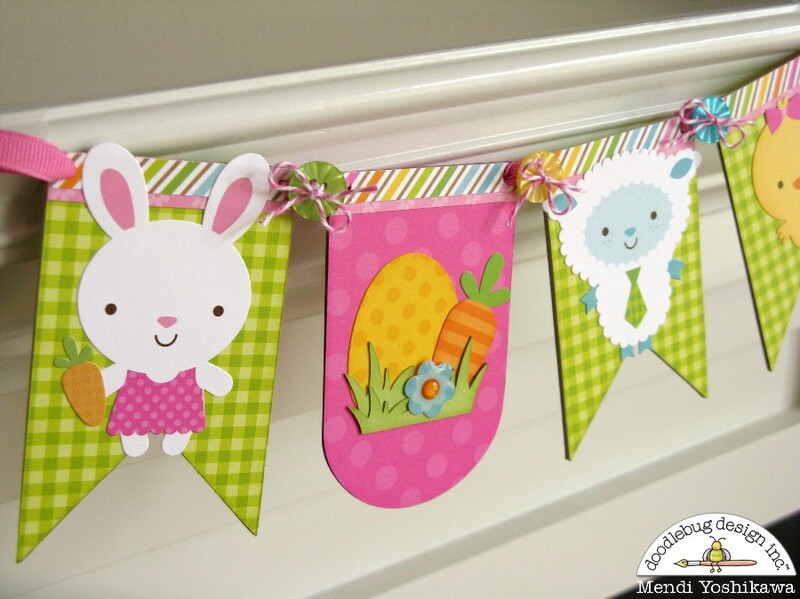 Add some twine and some cute little mini clothes pins to complete the banner. So that's my project! 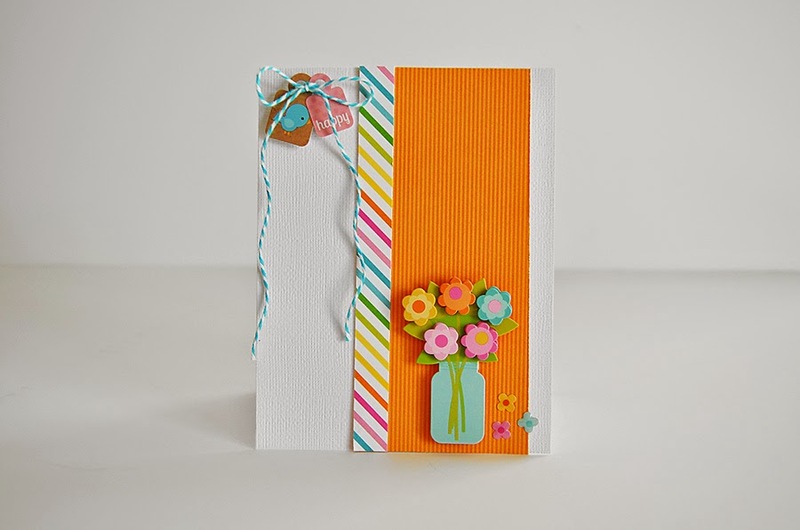 Thanks Mendi for the inspiration! 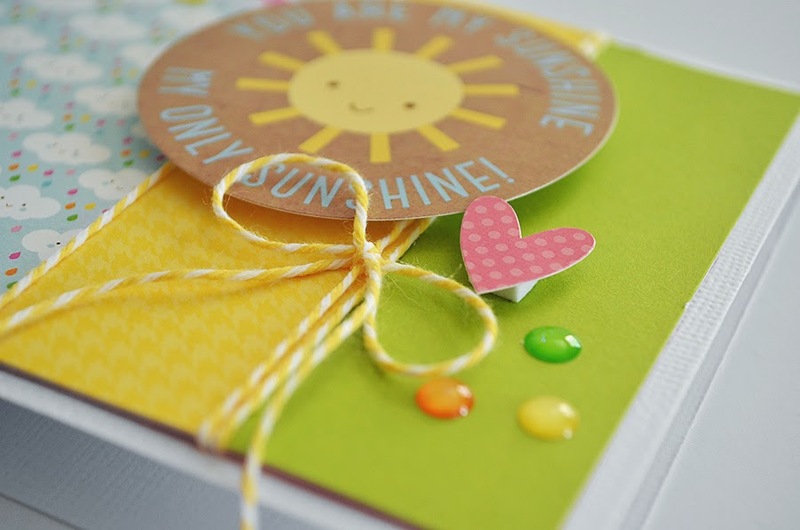 And be sure to stop by the Doodlebug Design Pinterest Boards to get some inspiration of your own! 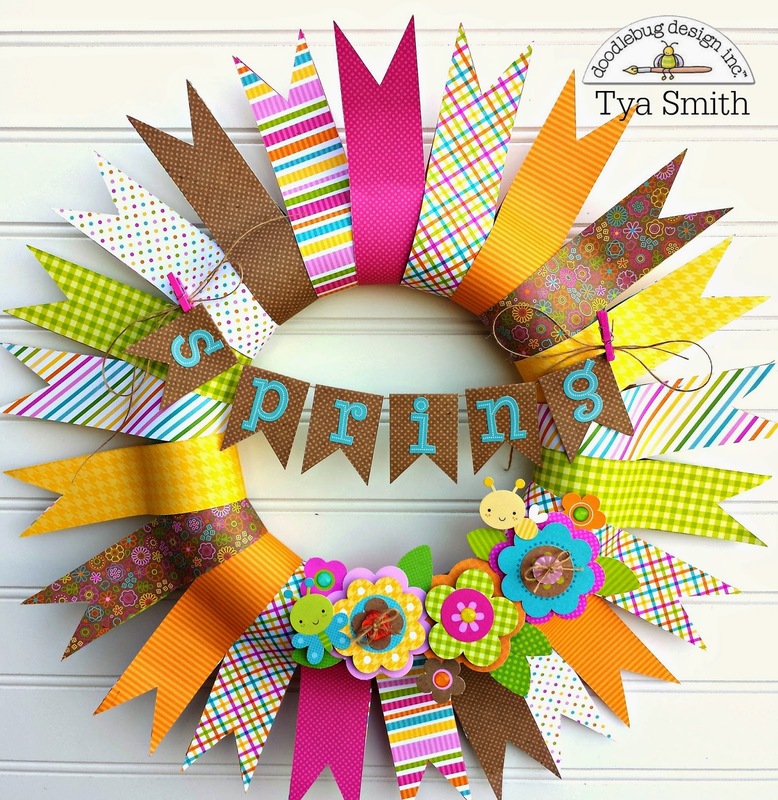 There are so many wonderful projects on there to get inspired by and make your very own! Thanks for stopping by! Hi Everyone! 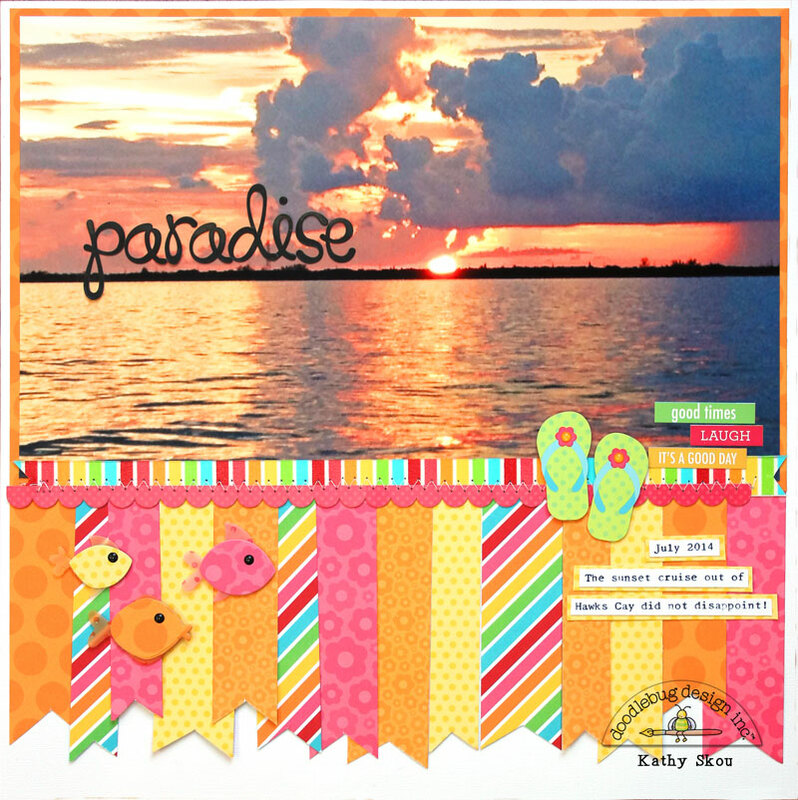 It's Kathy, and today I have a fun project based on a layout created by Melinda Spinks. 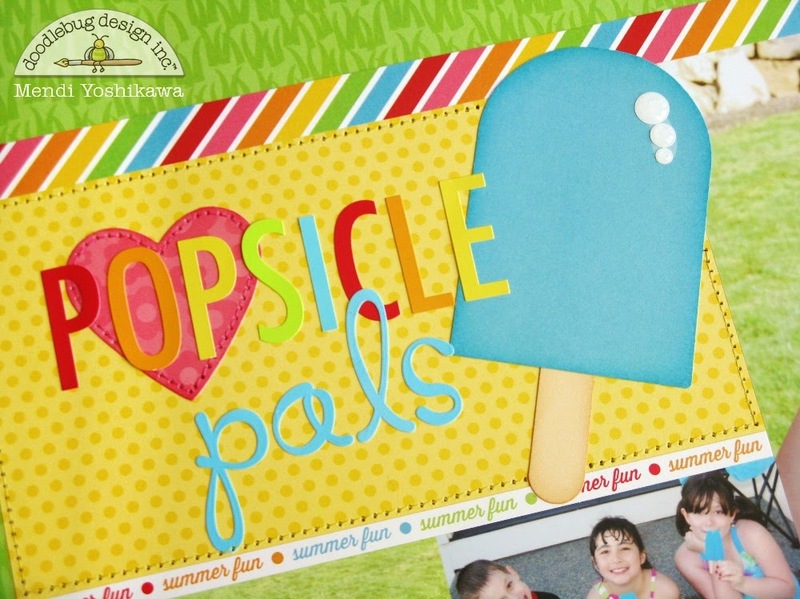 The Doodlebug Design Team was challenged to find a project on the Doodlebug Pinterest Boards that inspired us, and to create a project based on that pin. 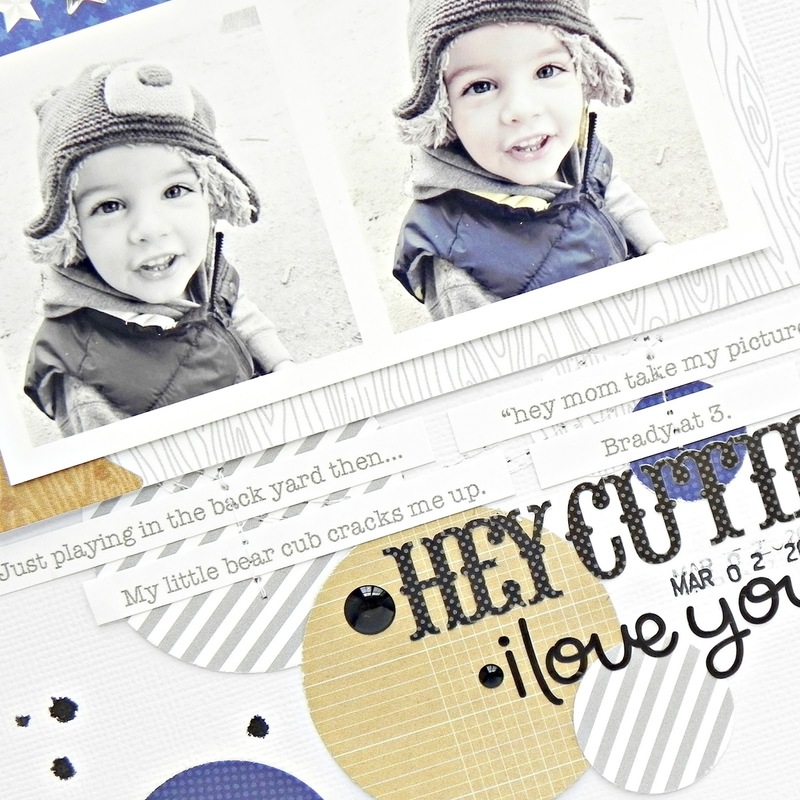 It was tough to narrow it down to just one project, but I found this beautiful layout by Melinda and knew this was the one! 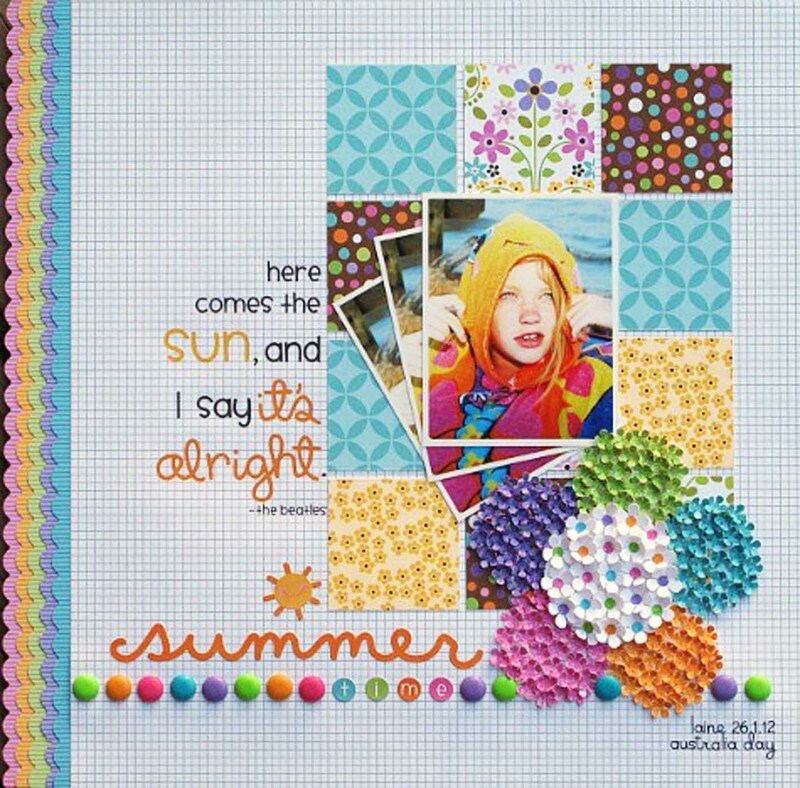 To make the layout my own, I went more bold with the colors, using some fun papers from the new Hello Sunshine collection, and lots of bright Swiss Dot Washi tapes. 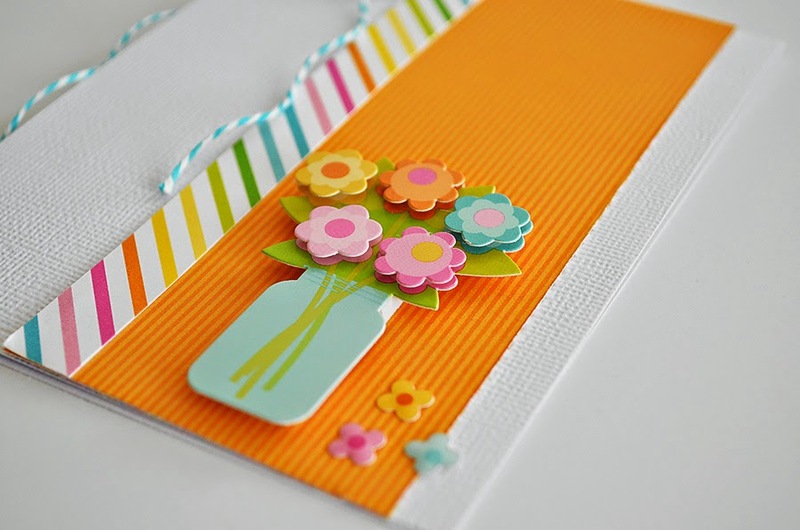 To create the flowers, I covered pieces of Lily White Cardstock with the different tapes. 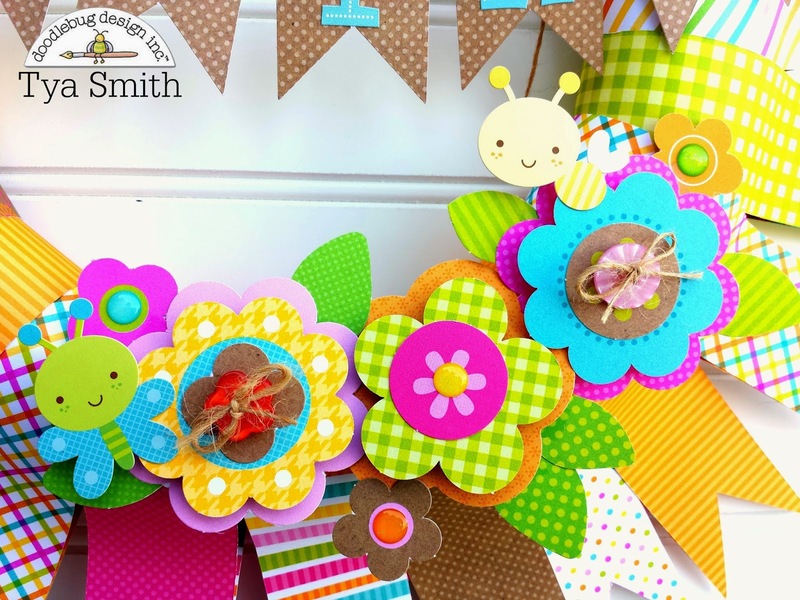 I then ran them through my Big Shot using some thin metal dies to cut the flower shapes. 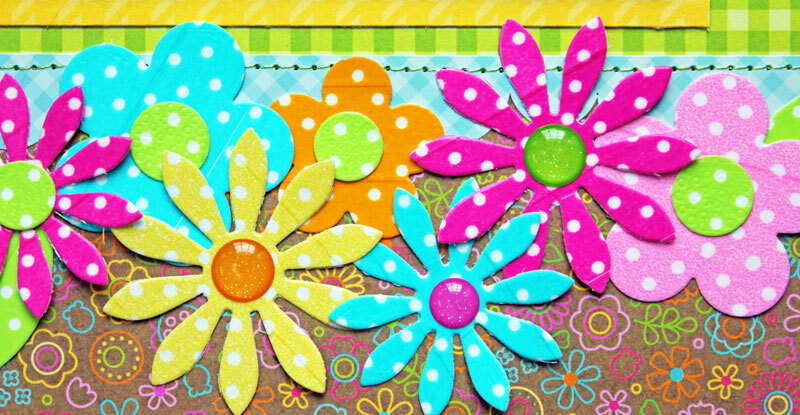 I finished the flowers with some washi centers, and a few Bright Glitter Sprinkles. 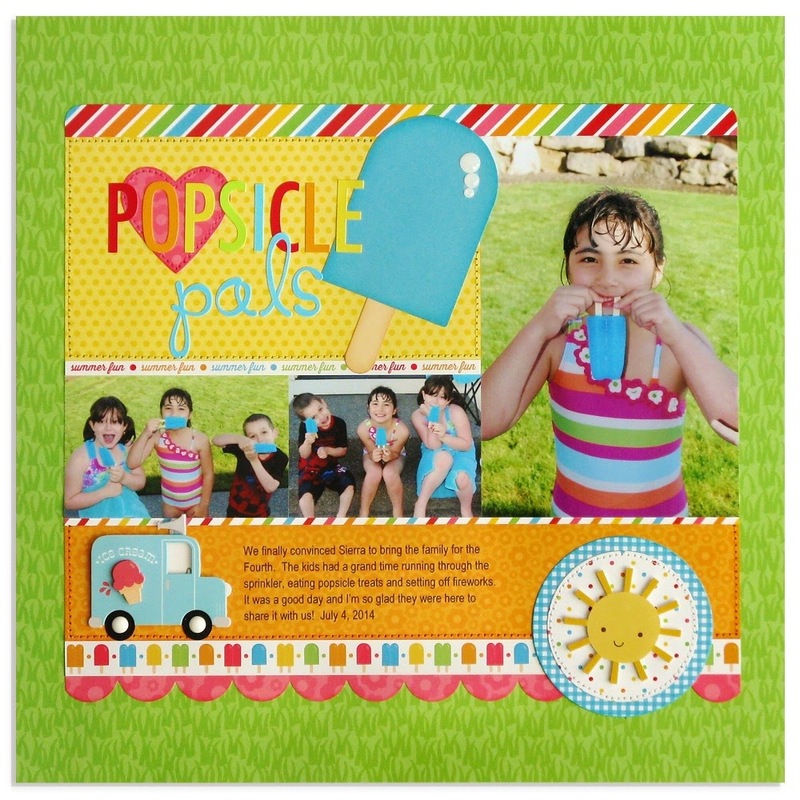 It was such a fun layout to put together! 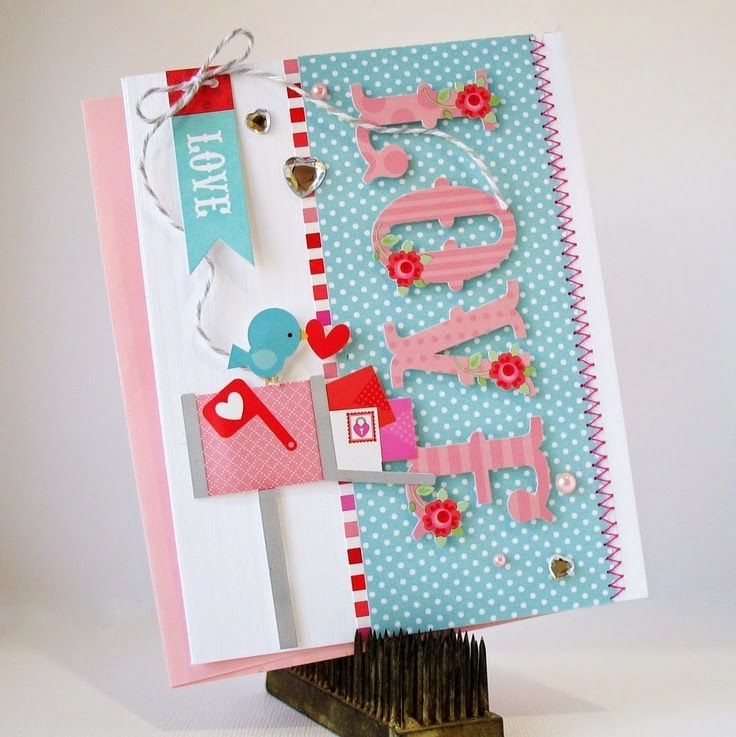 I love how similar and different the two layouts turned out! That's it for me today! 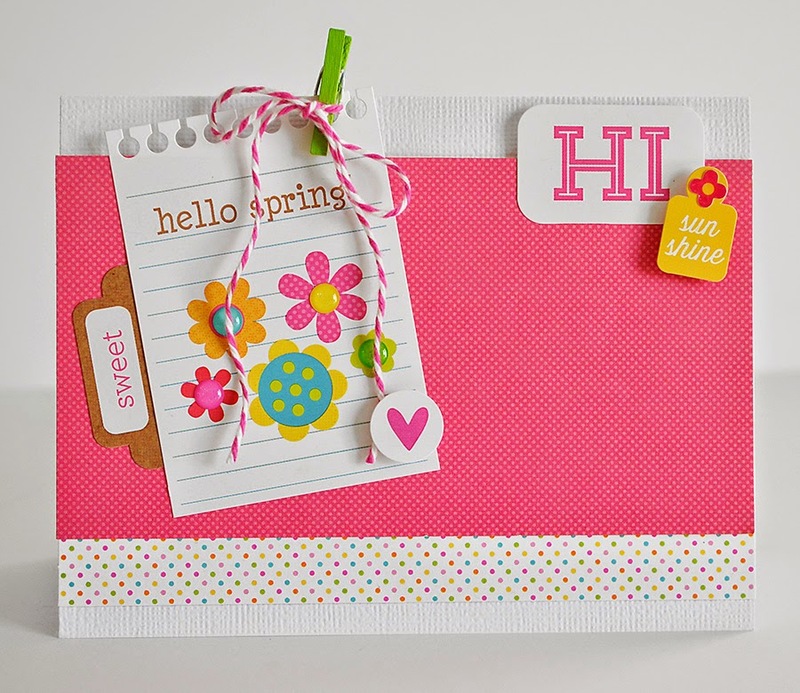 Make sure to stop by the Doodlebug Blog for more "inspired by" projects this week...you won't be disappointed! 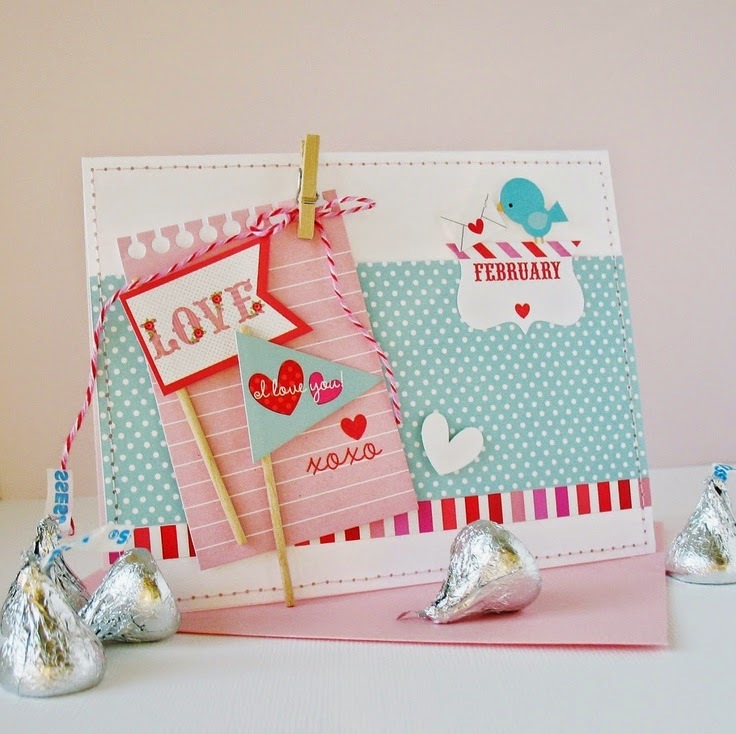 This month we have an "Inspired By Challenge Project". I wanted to recreate a Melinda Spinks's project. But which one? Well, any one, all of them are great!!! I'm big fan of Melinda and it was an honor for me to make my version of one of her incredible layouts. 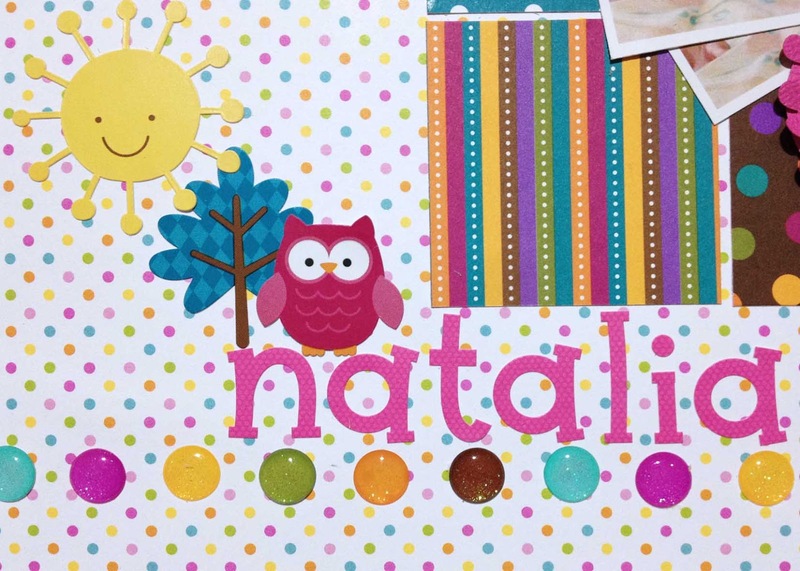 And here is my layout, with my niece Natalia. 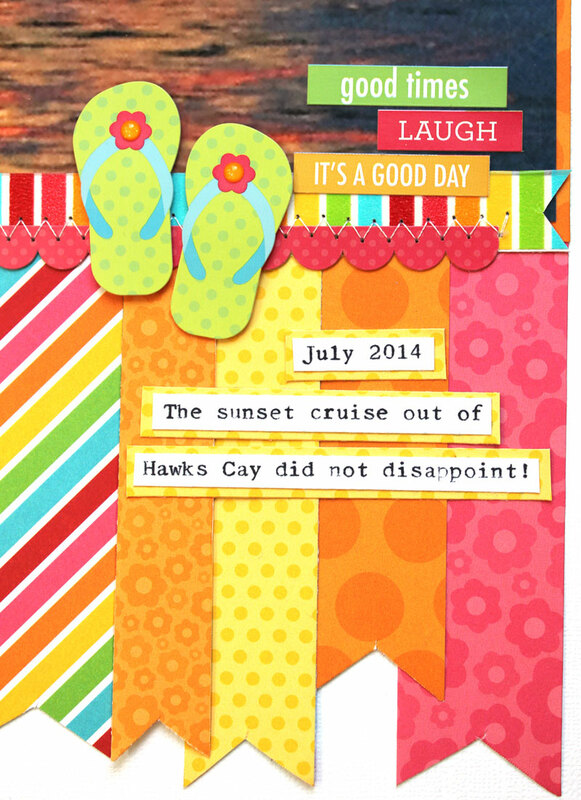 When you have the "Melinda Spinks's Inspiration" everything is easy and fun!!! 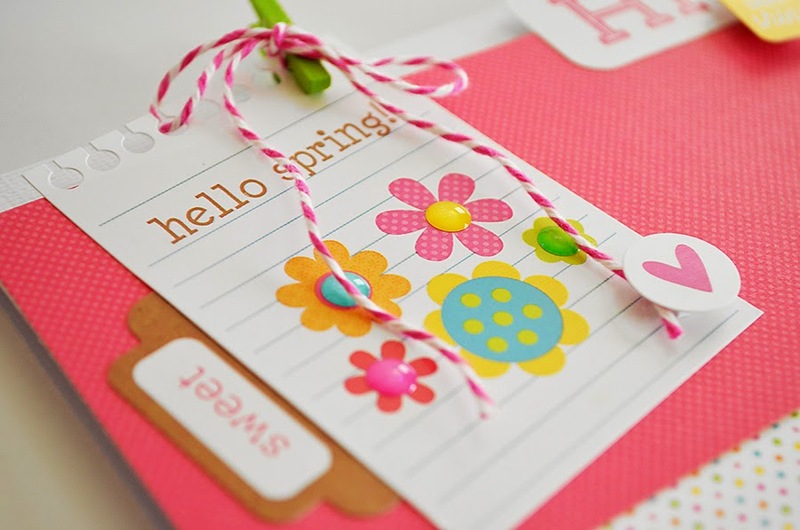 Sprinkles, little flowers and stickers look so colorful in my project!! And remember I love to read your comments! !